Huang Yonghua (黄勇华) is a young man living in Hengyang, Hunan (湖南衡阳). His Twitter (@huangyonghua) bio starts with a crisp declaration “Save China through democracy and constitutionalism!” He describes himself as a signee of Charter 08, and a lover of tea ceremony, though I cannot ascertain whether it alludes to police summons known as “he cha,” or “to have tea,” a common practice used by Chinese security police to warn and threat activists or anyone who expresses dissent online. He is one of the 30,000 Chinese netizens who lent money to Ai Weiwei in 2011 to express solidarity with Ai against persecution by the Chinese government, and in one photo I saw, he wore the Citizen T-shirt with “Freedom, Justice, and Love” printed on it, one of the souvenirs of the new citizens’ movement advocated by Dr. Xu Zhiyong. Huang Yonghua is believed to be going to Shaoyang, a city about 90 miles away, to pay respects to Li Wangyang (李旺阳), a dissident and long-time political prisoner who was found dead last June in a hospital ward. The government said Li committed suicide, but that conclusion seemed to have convinced no one. In Hong Kong, large-scale protests were held to demand the truth of Li’s death. Huang Yonghua’s older brother has since found out that he is being detained in the Second Detention Center in Hengyang. The brother said the family has not received written notice of Huang’s detention, nor any explanation. Relatives and friends have made several attempts to visit him in the detention center, but none has been allowed to meet him. Relatives are in the process of seeking legal assistance. 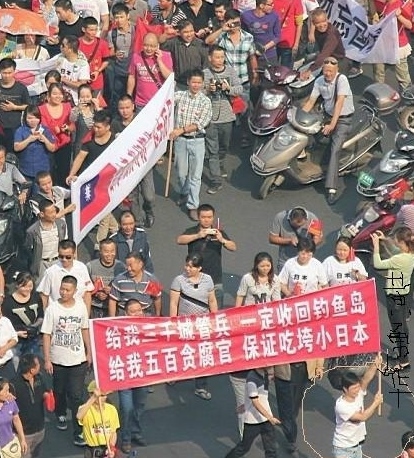 Huang Yonghua’s mother has always opposed some of her son’s activities. She was said to have fallen ill on the news of her son’s detention. Family discouragement is common for many activists, making their struggle all the harder. In China, leading up to June 4, the anniversary of the Tian’anmen movement in 1989, many dissidents and activists were monitored by government security personnel who set up posts outside their homes, known as shang gang (上岗). Others were forced to travel in the company of security police. Several have been criminally detained, Huang Yonghua is one, and Du Bin (杜斌), the independent documentary filmmaker and author of a new book about the June 4th movement, is another. In Chibi, Hubei (湖北赤壁), five young activists from Guangdong were detained, and at least one of them was said to have been subjected to electric shock. In all these cases, the charges are quite obviously trumped up, and procedures were not properly observed. By China Change in Human Rights & Civil Rights, Reports on June 13, 2013 . When is the CCP going to be brought to justice? If we collate all the human rights abuses that happen in one day in China I would imagine the scale if them would reach beyond that if other single countries in one year. 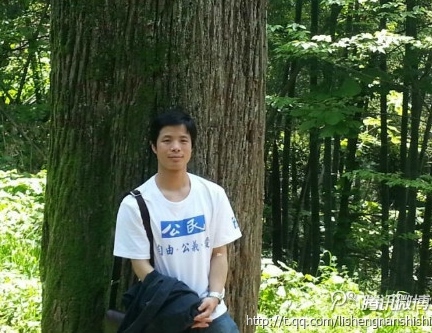 Huang Yonghua was released “on bail awaiting trial” (取保候审) on June 15.